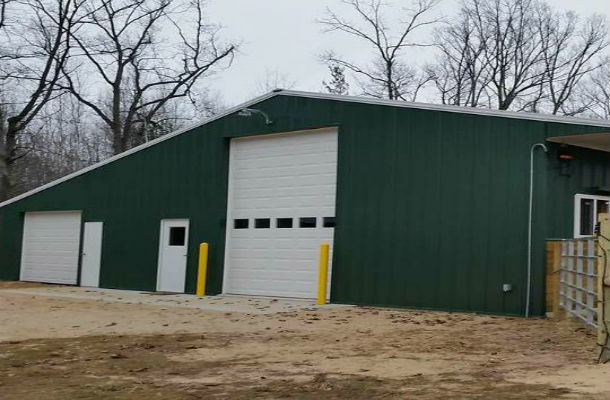 Miller Construction & Equipment understands that horse owners value both a safe building for their beloved animals and a stylish facility for themselves.That is why for over four decades northern Michigan equine enthusiasts have turned to us to design and construct their buildings. 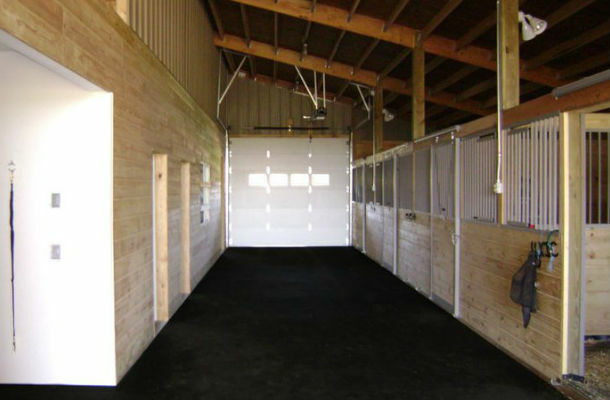 We have a proven reputation of designing stylish and functional facilities that are constructed to withstand the demands of boarding your equine companions in the comfort they deserve. Visit us at 276 W. M-55 about four miles east of West Branch or call (989) 345-2499 to inquire about horse barns for your ranch or farm. Whether you enjoy horses for companionship, recreation, or sport, Miller Construction & Equipment can design and construct a facility that provides a safe and comfortable living space for your horses and a stylish and functional facility that is sure to bring you satisfaction for decades to come. We also provide recreational facilities for your horses so they can stretch their legs and run in a clean, safe environment, even during those long winter months. 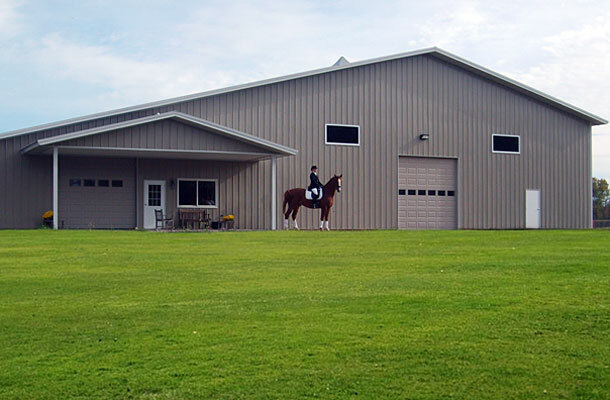 Horse Barns/Stables – safe and comfortable lodging for your horses; stylish and functional facilities for you. Riding Arenas – wide open space for your horses to exercise safely and for you to practice your riding, no matter the weather. Run-in/Pasture Shelters – allows your horses quick refuge from the elements when they’re running free in the pasture.